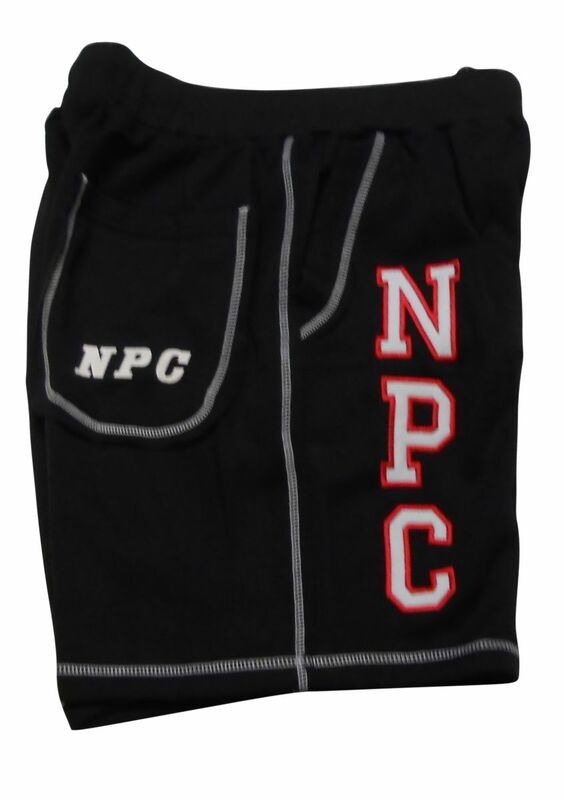 NPC Fleece Shorts feature 2 front pockets, 1 back pocket, and a drawstring waist. 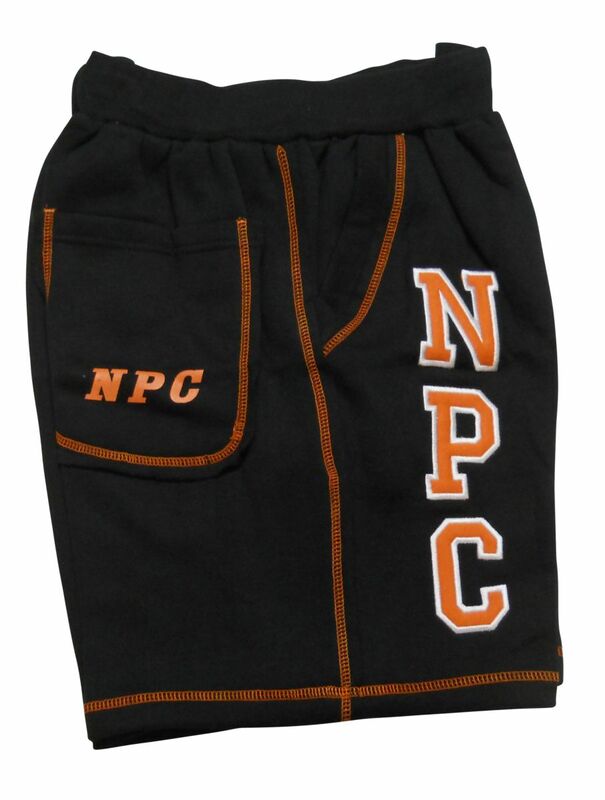 65% cotton/35% Polyester. These will be as fun to wear to the gym as they are to look at.